314. Lever chronometer escapement. In this the pallets, A, B, and lever, look like those of the lever escapement 296: but these pallets only lock the escape-wheel, having no impulse. 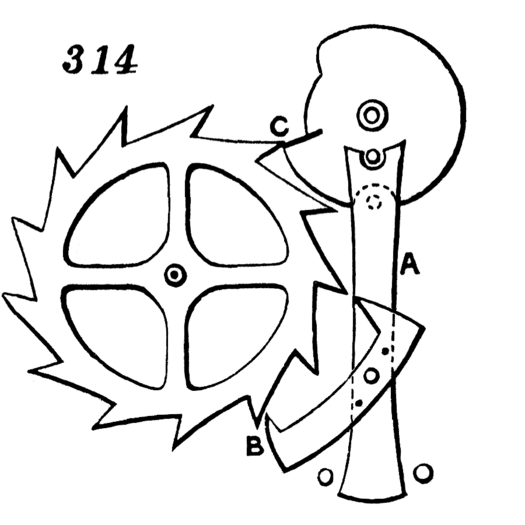 Impulse is given by teeth of escape-wheel directly to a pallet, C, attached to balance.